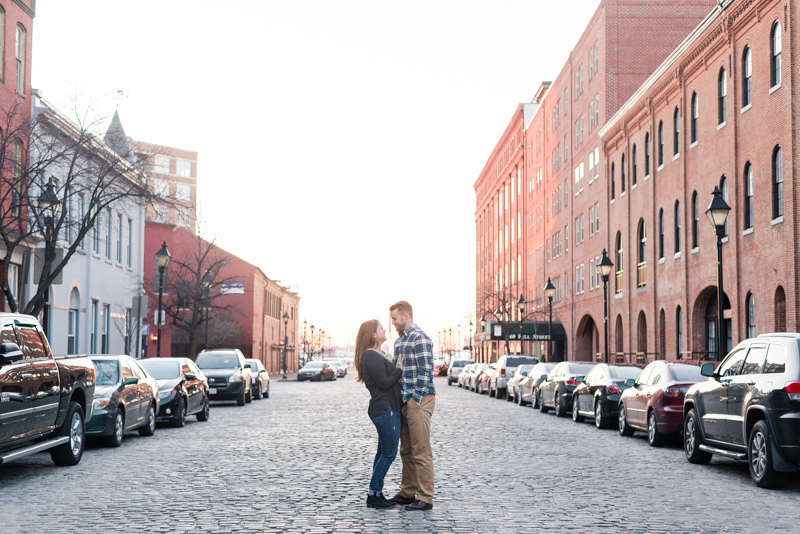 On Saturday, we met up with Arianna and Tyler in Fells Point. 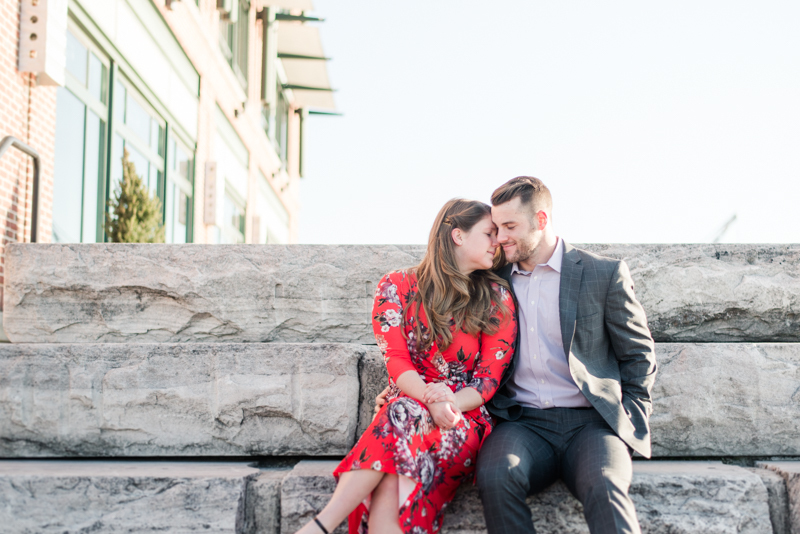 It was such a gorgeous morning with these two. 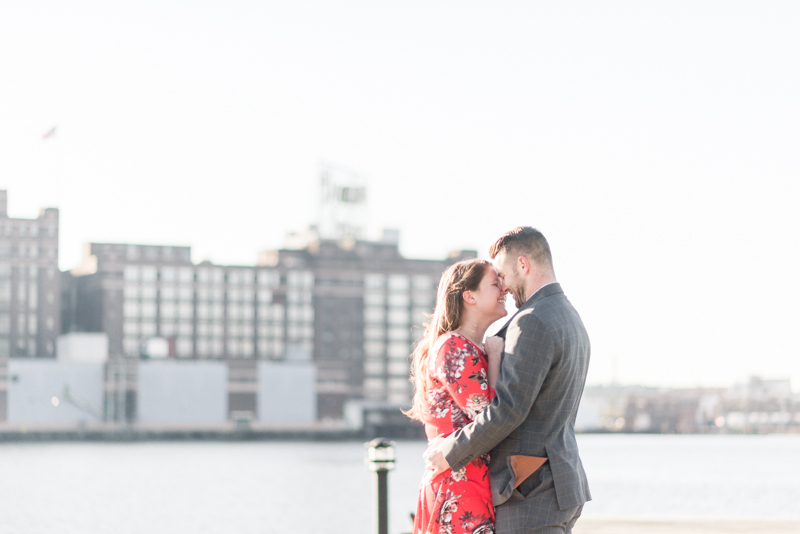 Admittedly, it was a bit chilly, but the stunning backdrop of the city was just too good to miss. 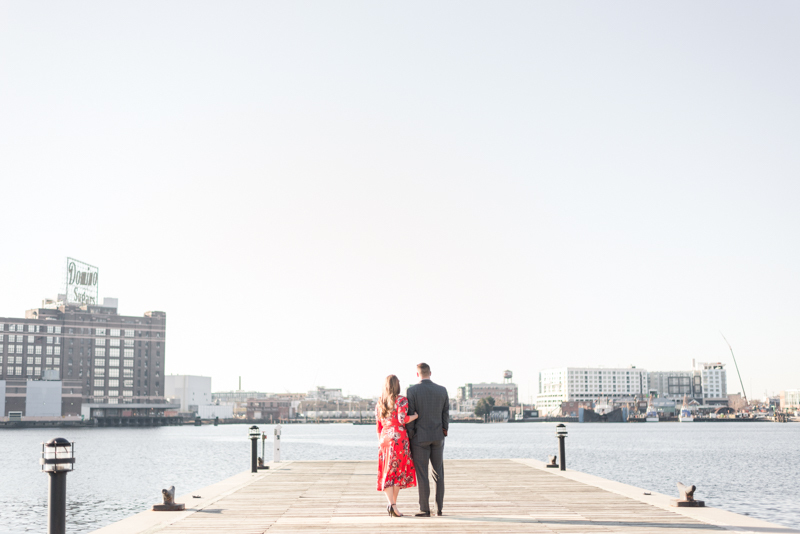 Fells Point is so incredibly beautiful. 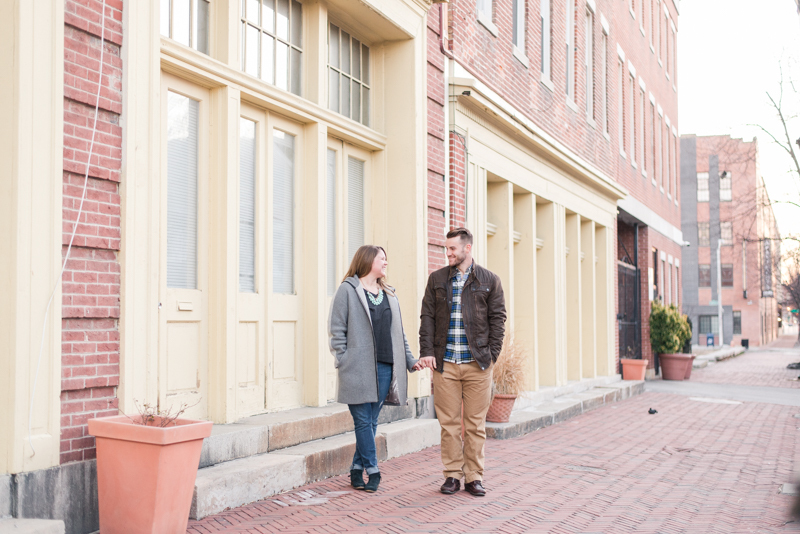 Shawn and I don't go into Baltimore often, but when we do, we always go to Fells Point. 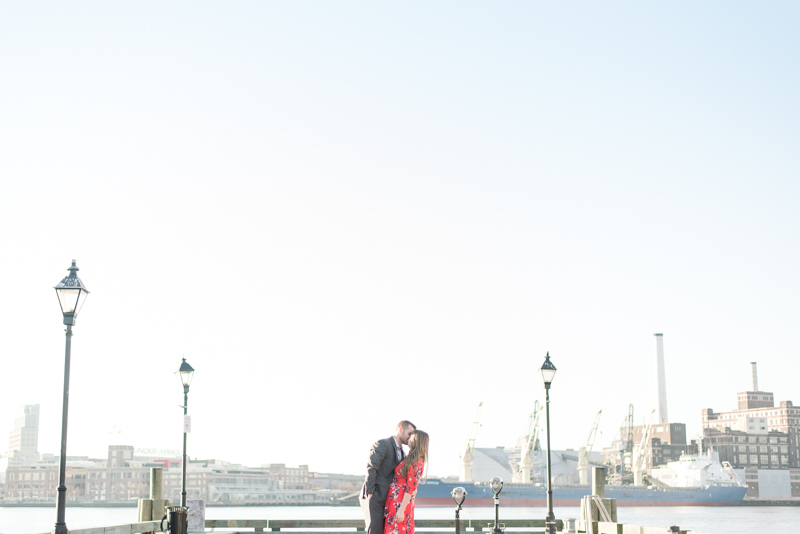 I don't know if my love for stems from all of the restaurants, the shops, or the views. 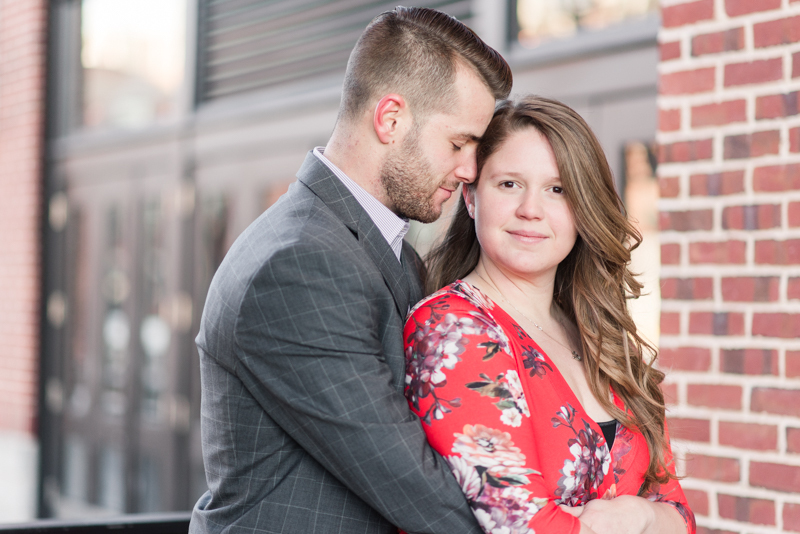 Actually, it's probably all three of those things, haha. 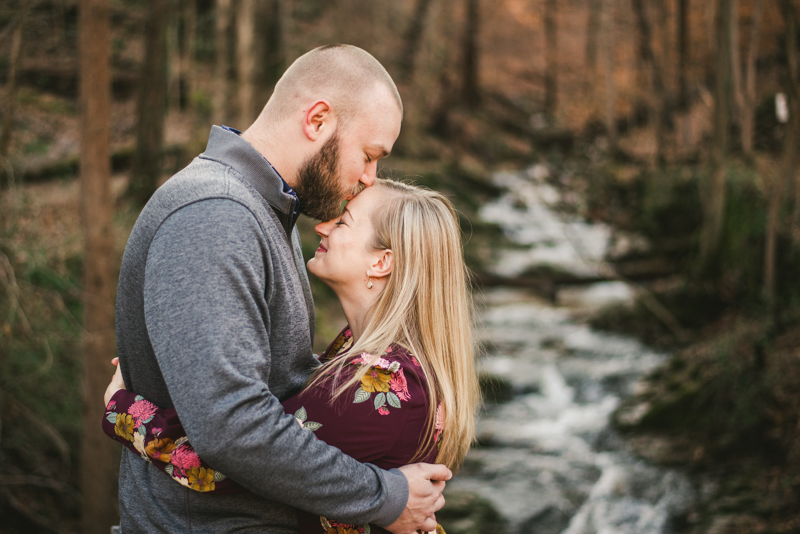 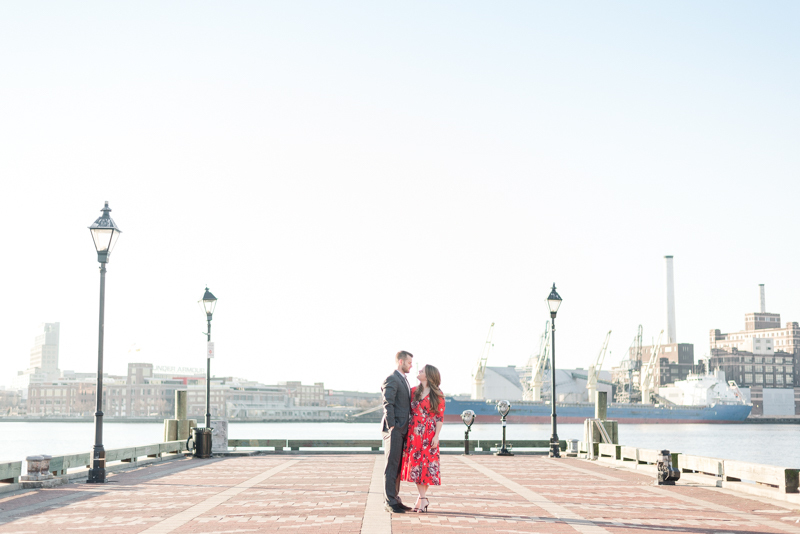 Everything about the area is so unique, and it's absolutely perfect for an engagement session. 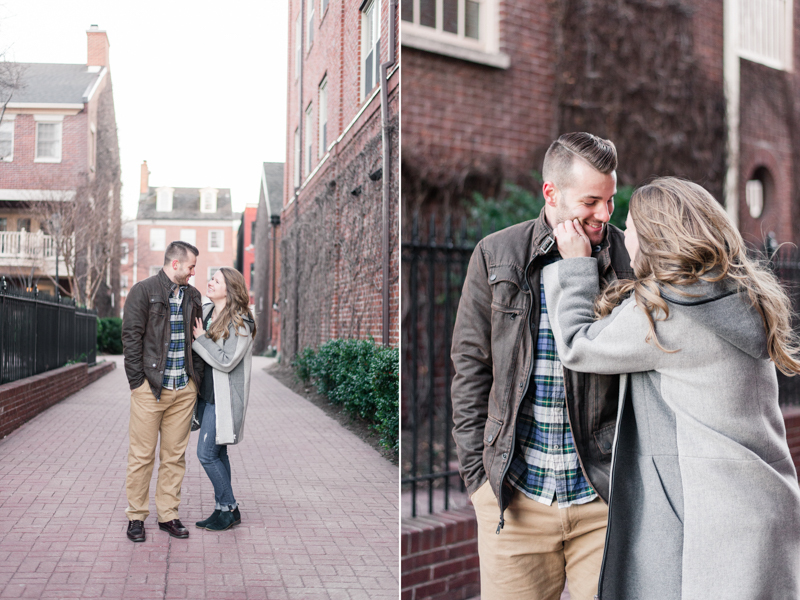 Speaking of perfect, Arianna and Tyler - I'm still not over their session. 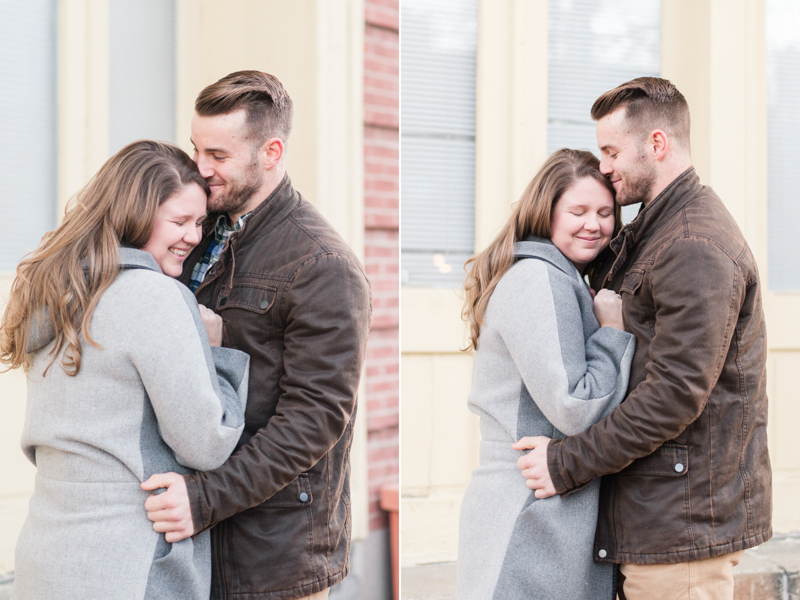 These two are total movie stars. 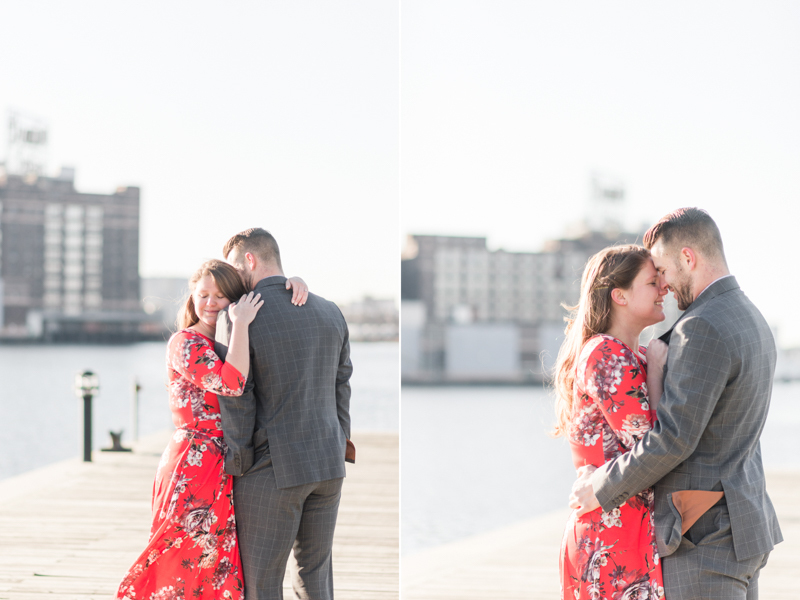 There was a moment when we were out on the Fells Point pier, the wind was softly blowing, and the way these two were looking at each other - ahh! 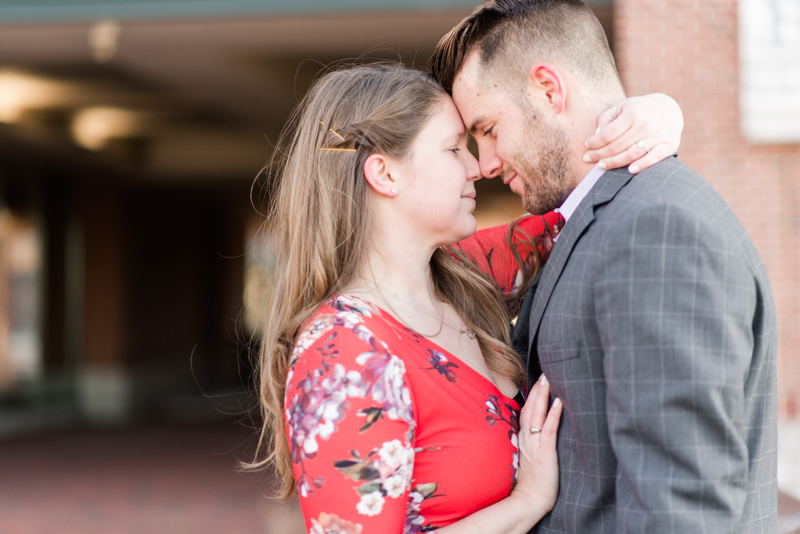 It was seriously something out of a romance film. 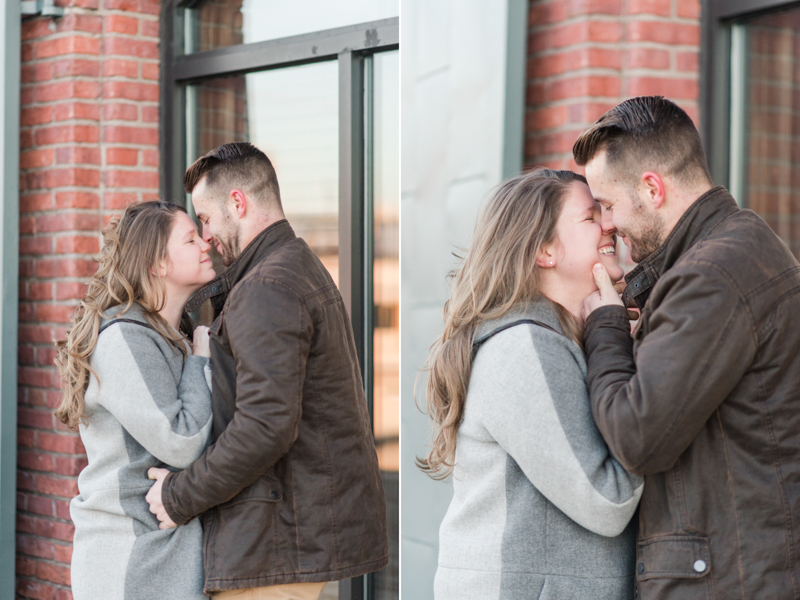 I told them early on in the session that I would do a lot of squealing, but I'm not sure if they were quite prepared. 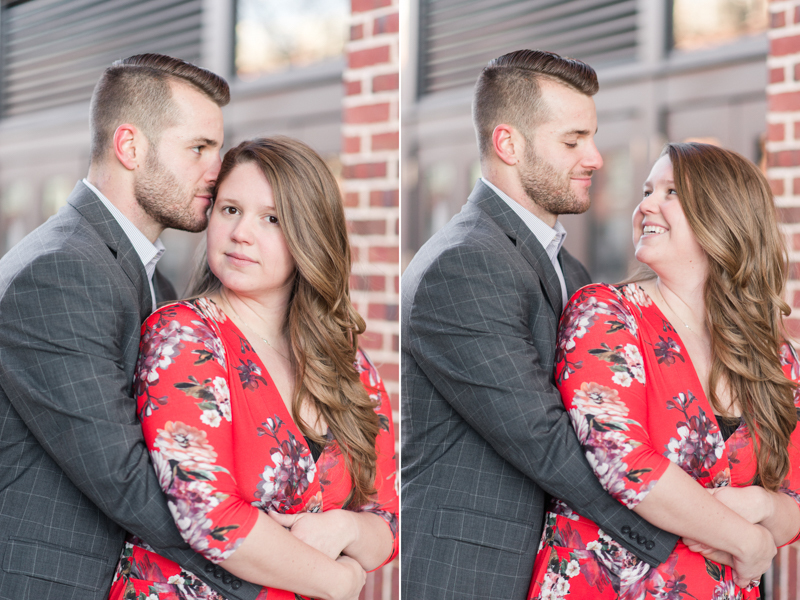 Watching these two interact, I fell in love with their relationship even more. 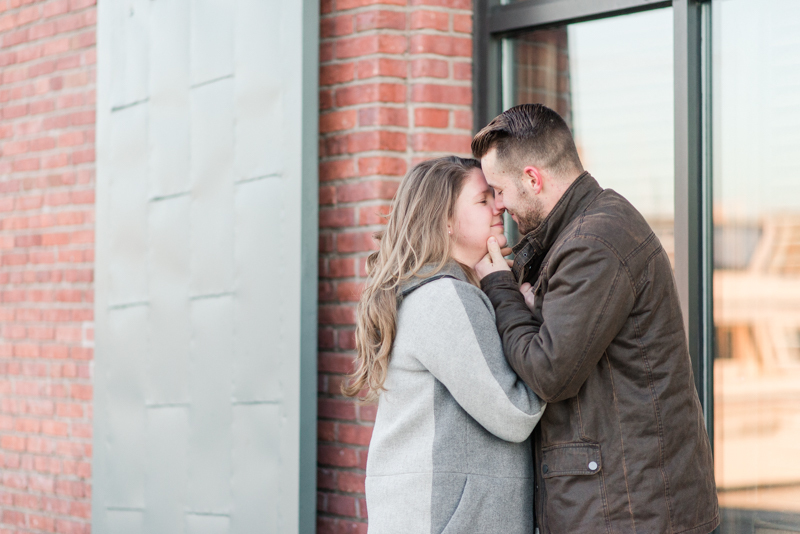 All you need is just a few second with them to see the deep love that they have for one another. 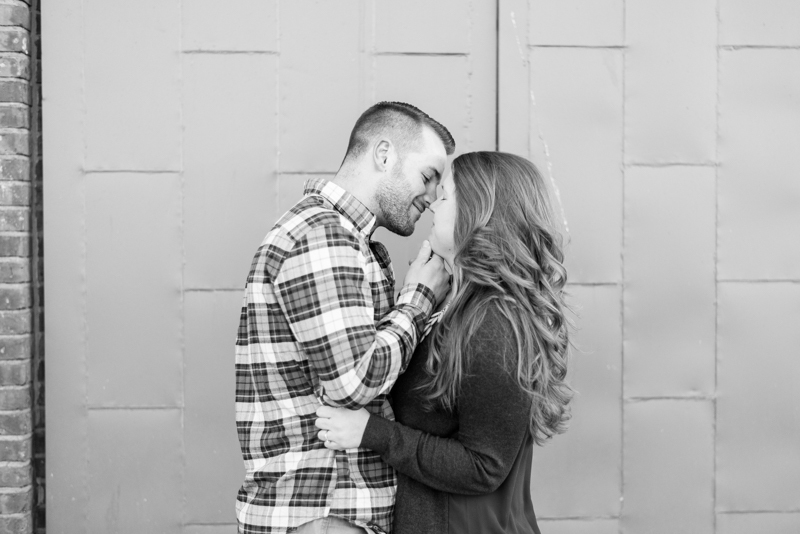 Arianna and Tyler fit so effortlessly together. 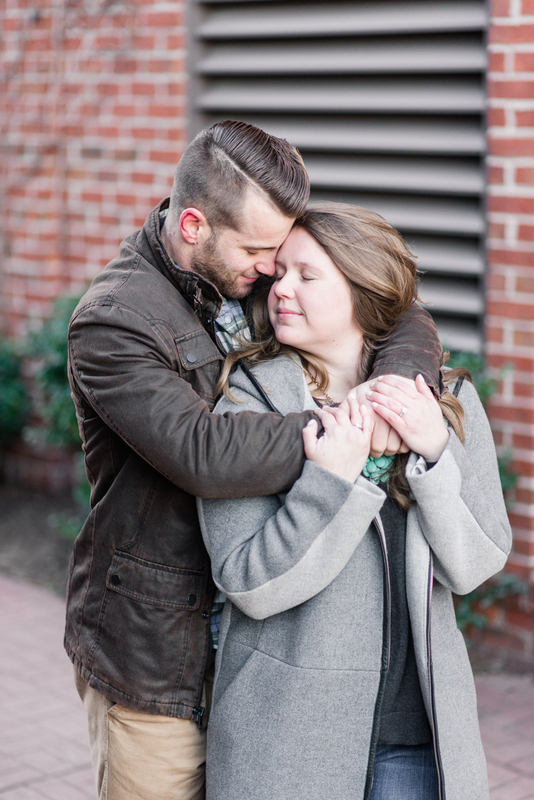 They wrap each other up in each others arms and it's like the entire world disappears for them. 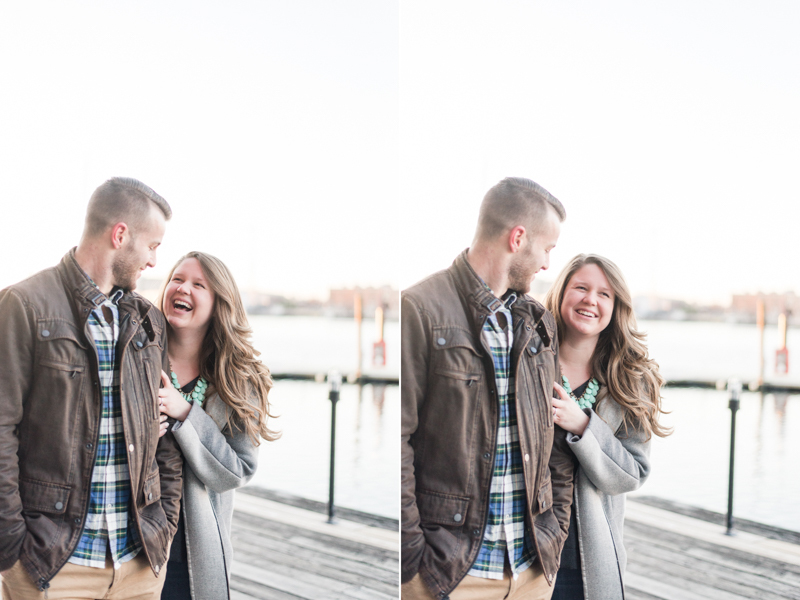 Tyler was constantly making Arianna laugh, which in turn would make him light up with a smile. 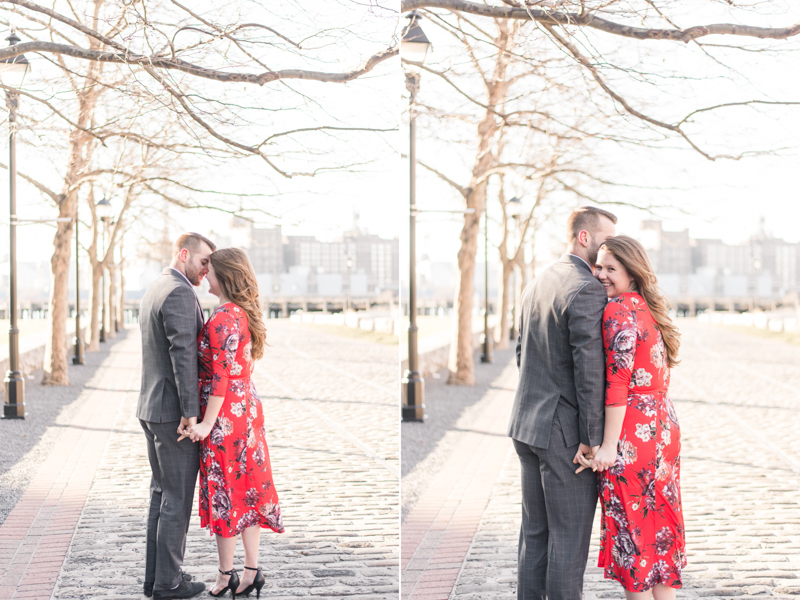 Spending our morning with this amazing pair was truly the greatest way to kick off our February. 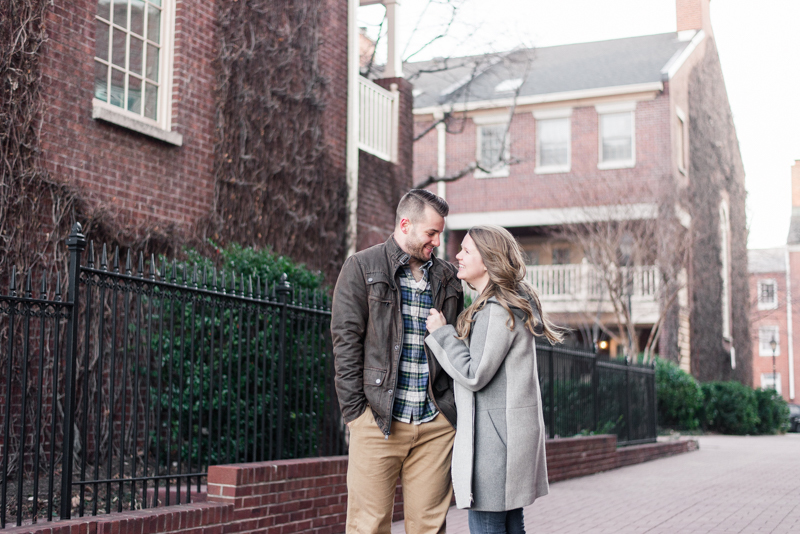 Oh, and also, Arianna is seriously my travel spirit animal. 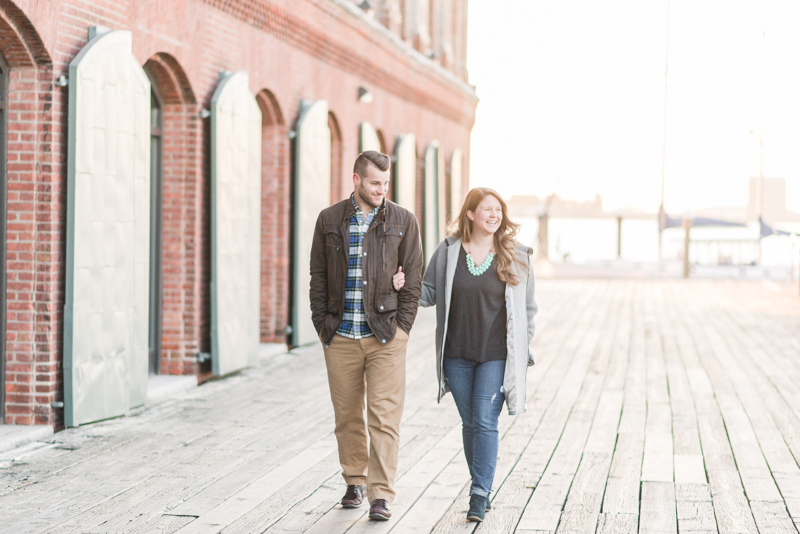 She has a goal to visit 30 countries by the time she's 30, and she's already up into the mid-20s. 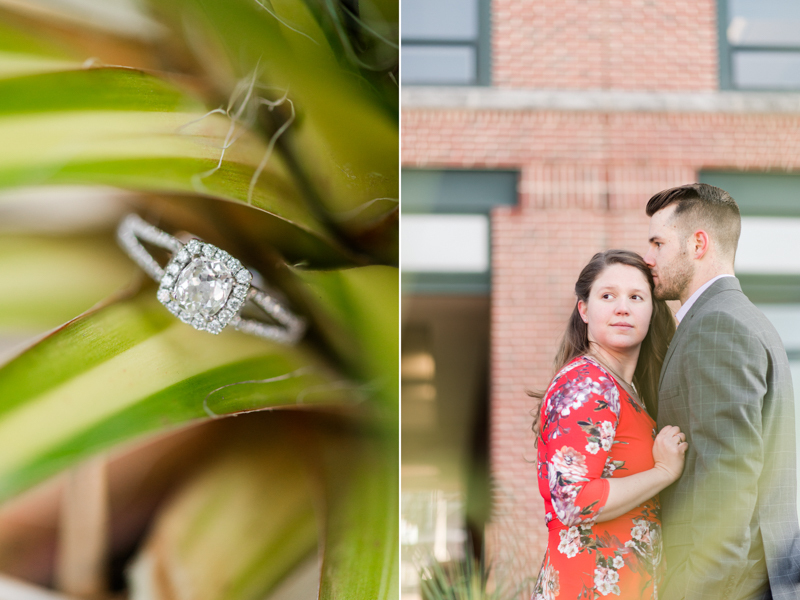 I have a good feeling that their honeymoon is going to be filled with wonderful adventures and loads of culture! 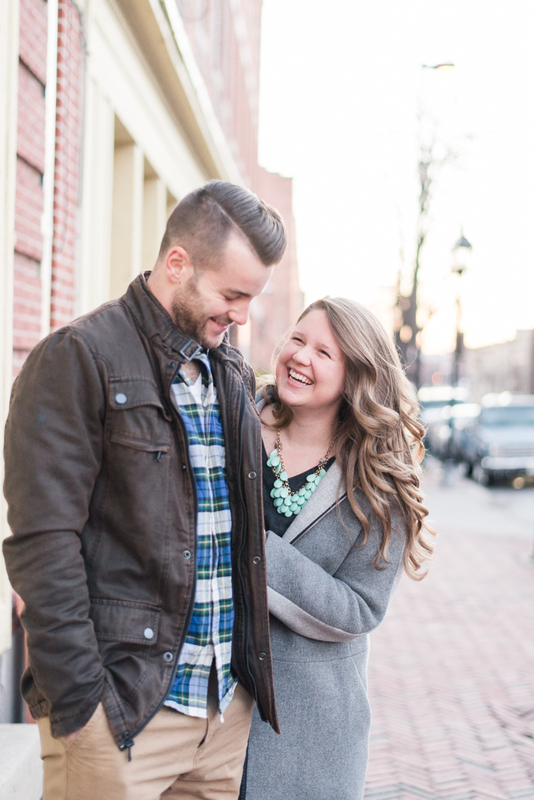 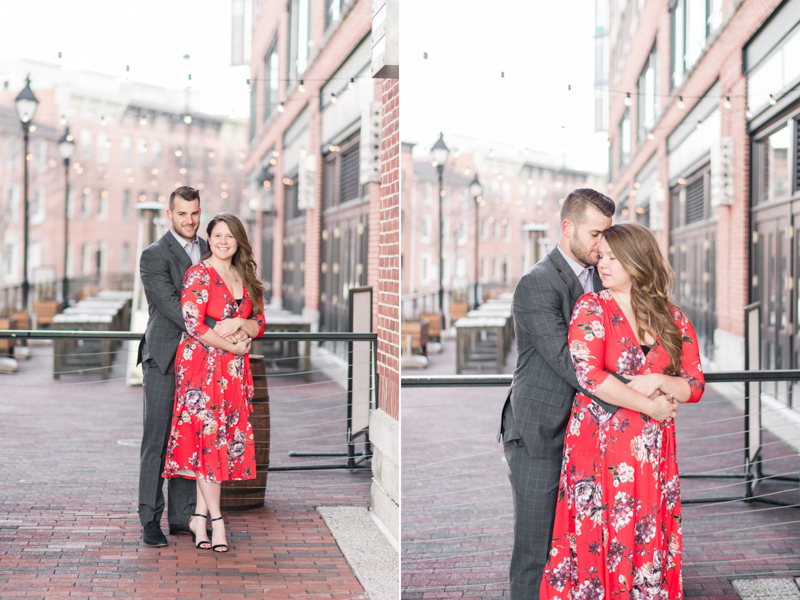 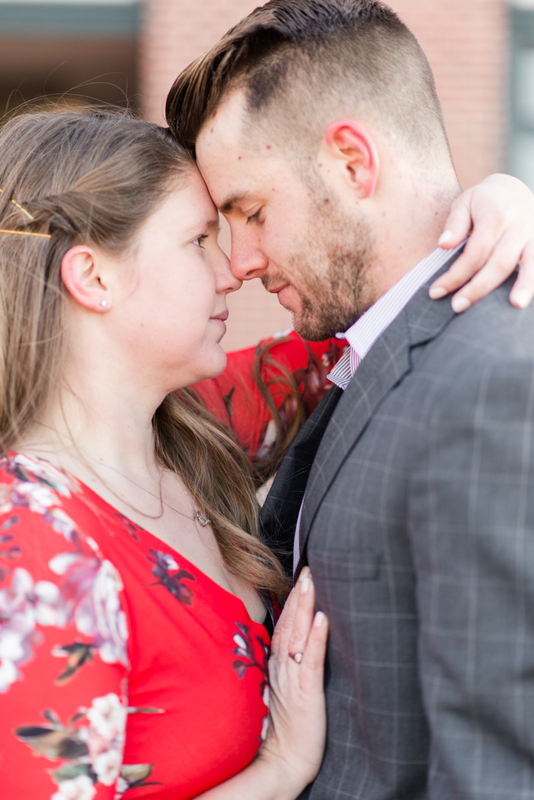 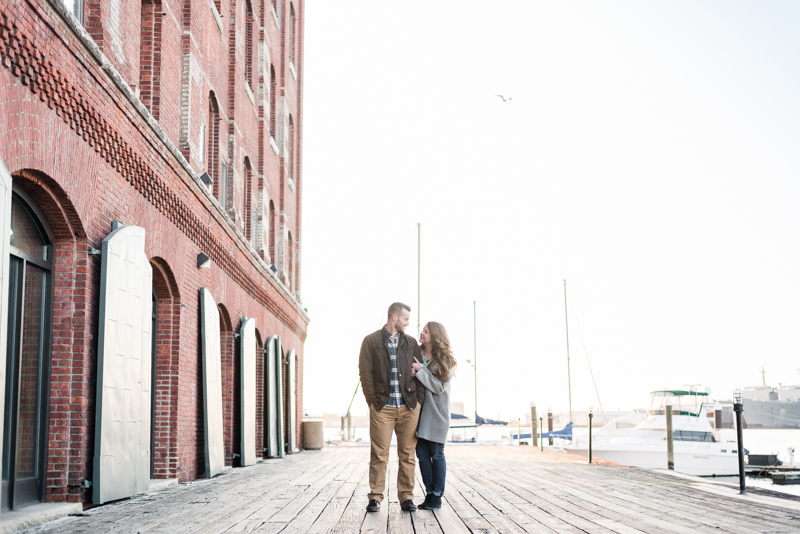 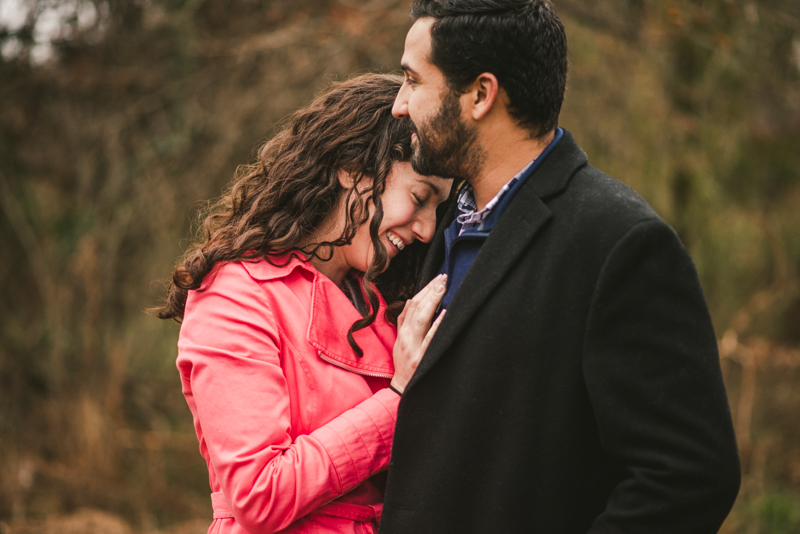 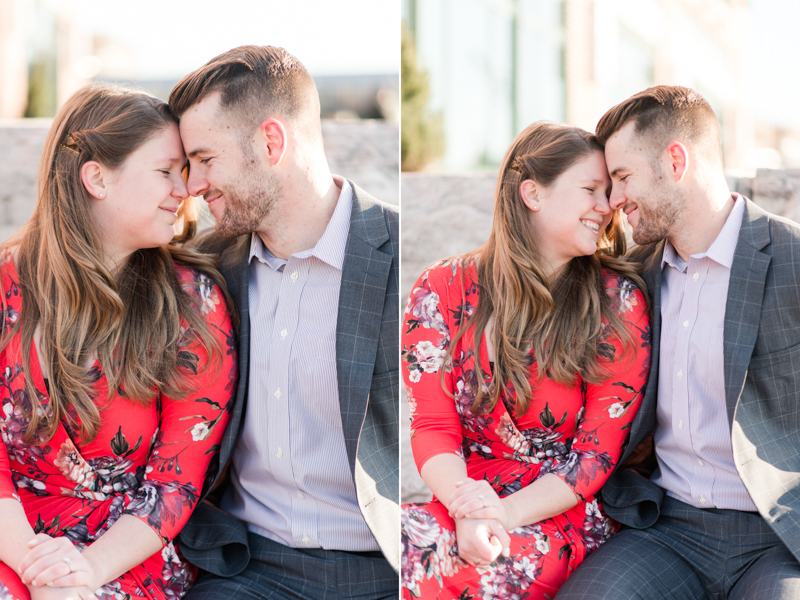 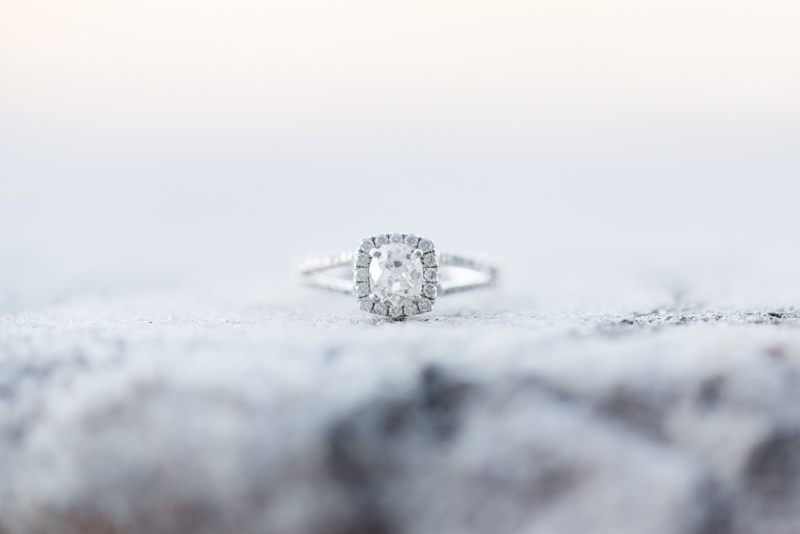 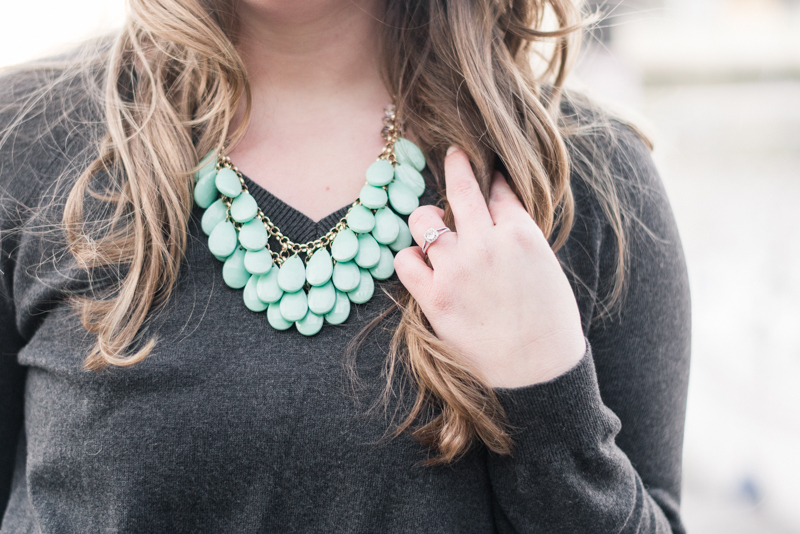 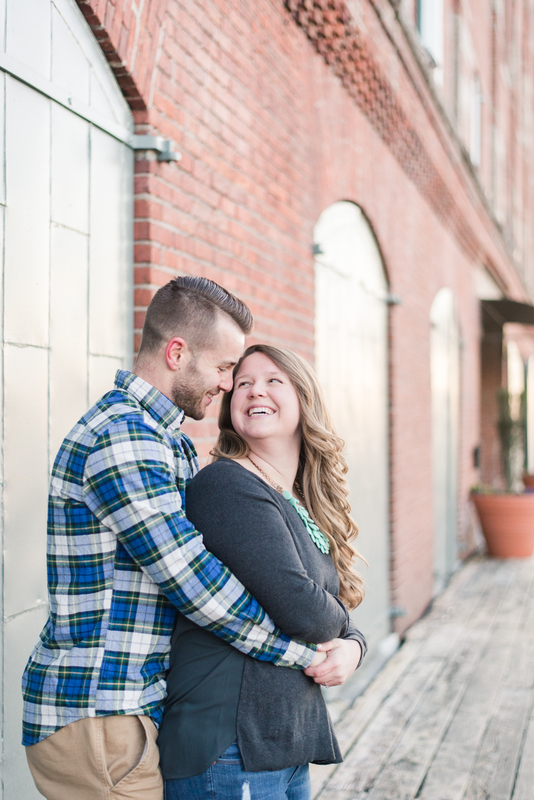 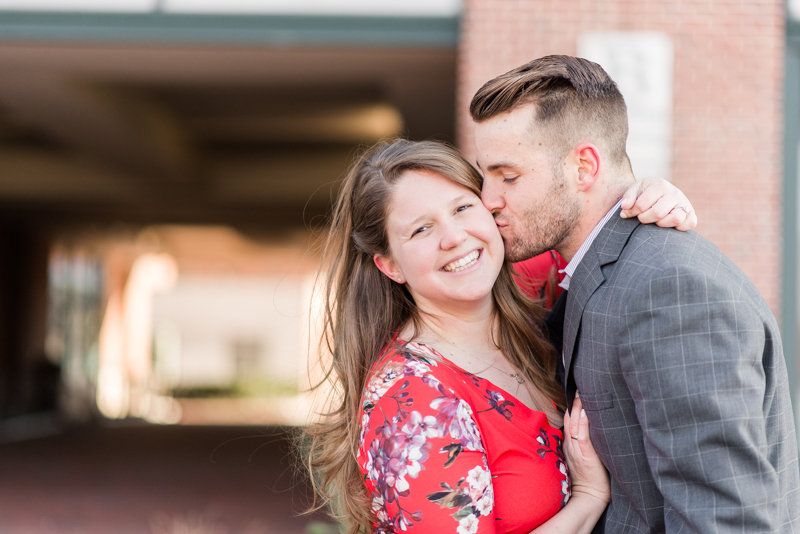 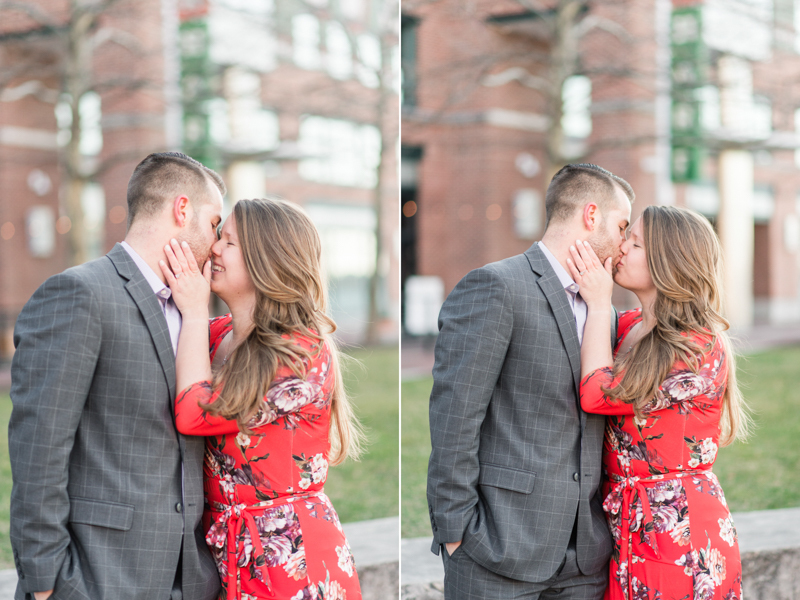 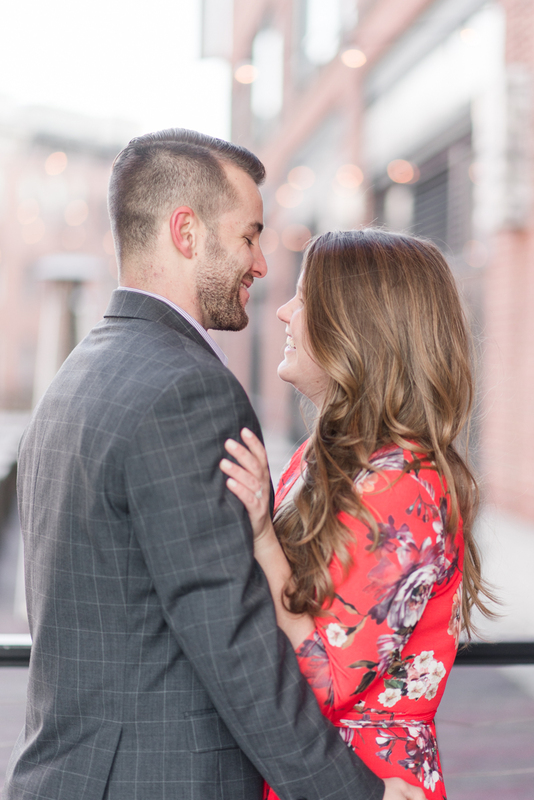 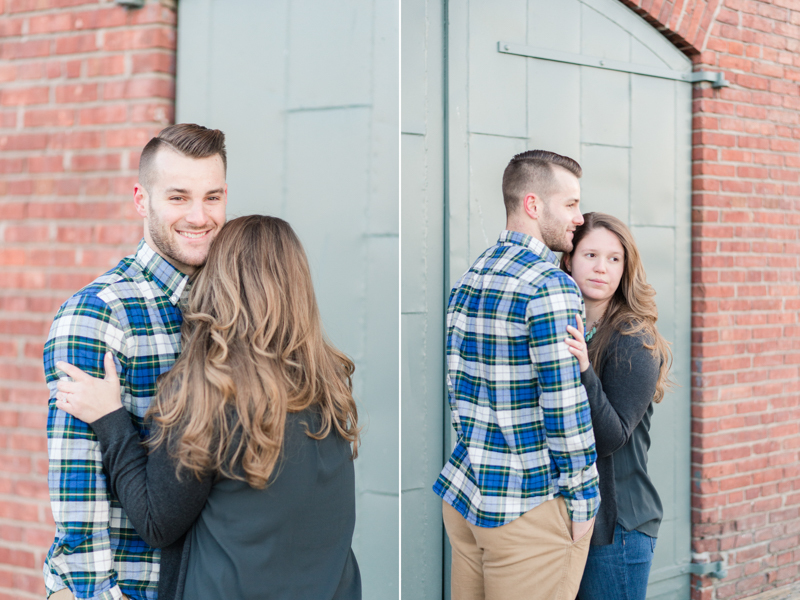 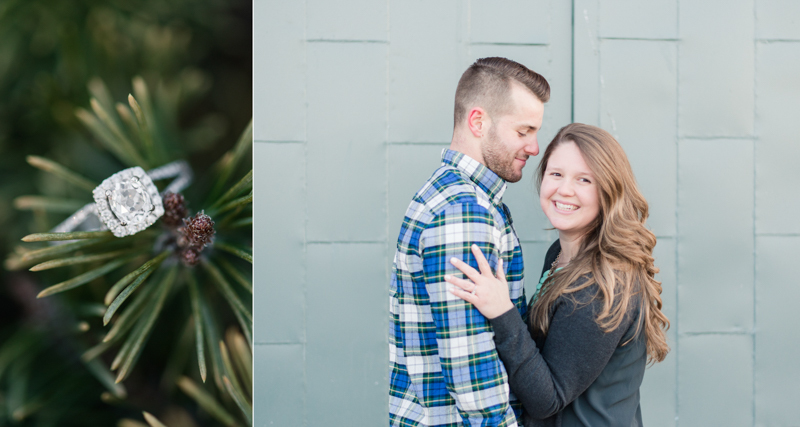 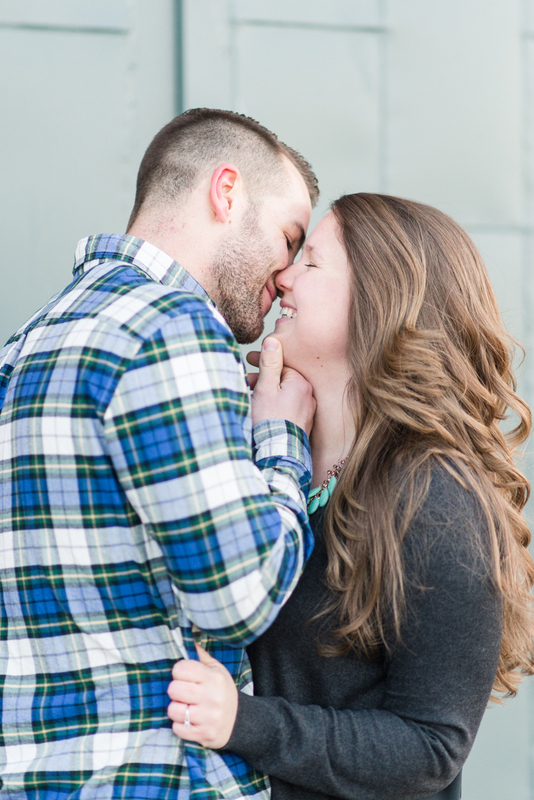 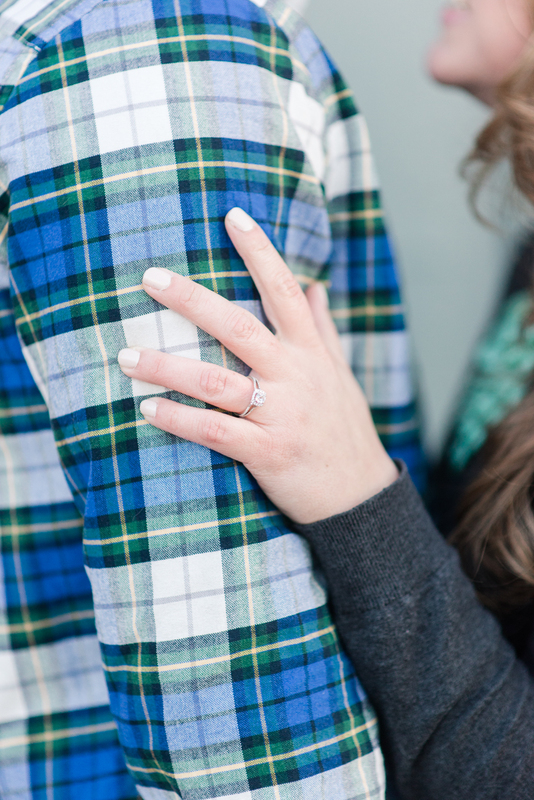 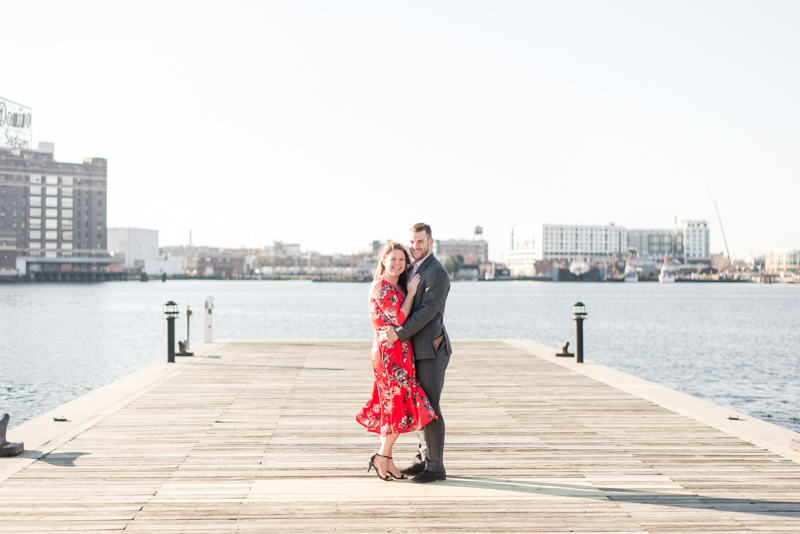 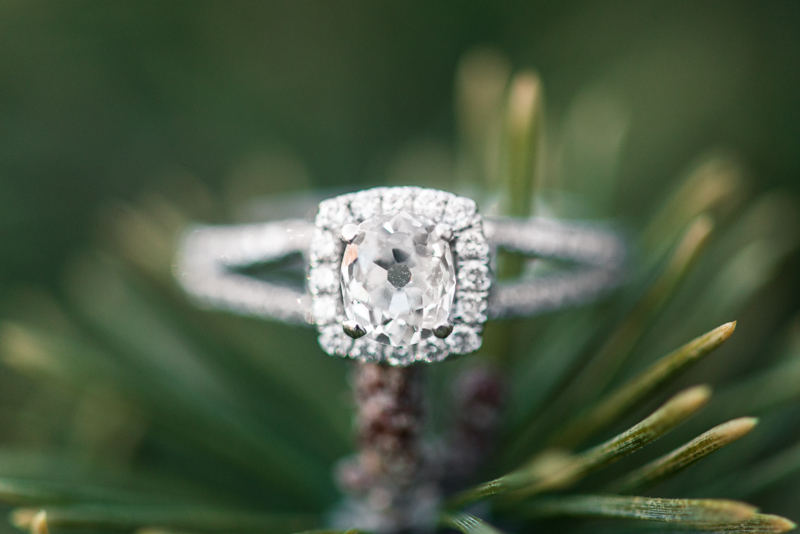 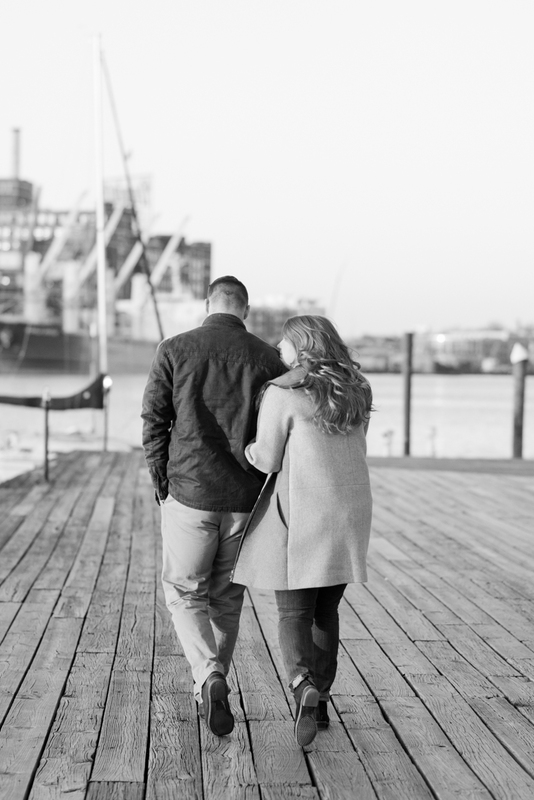 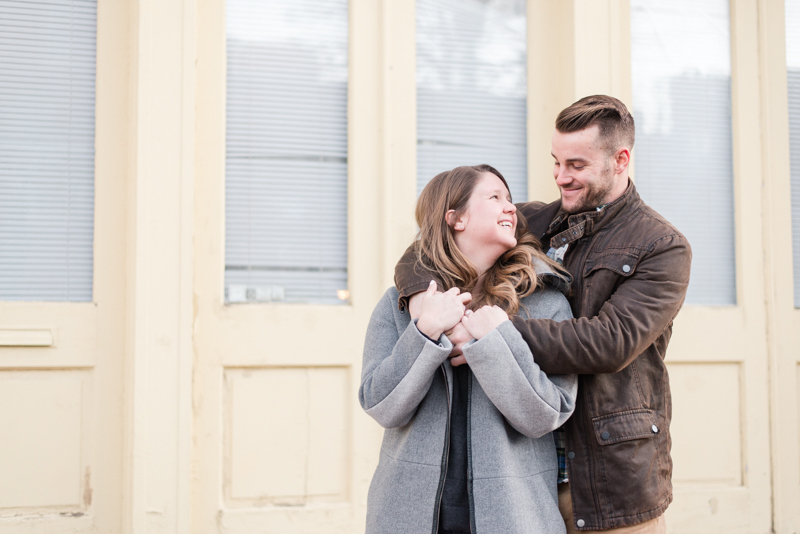 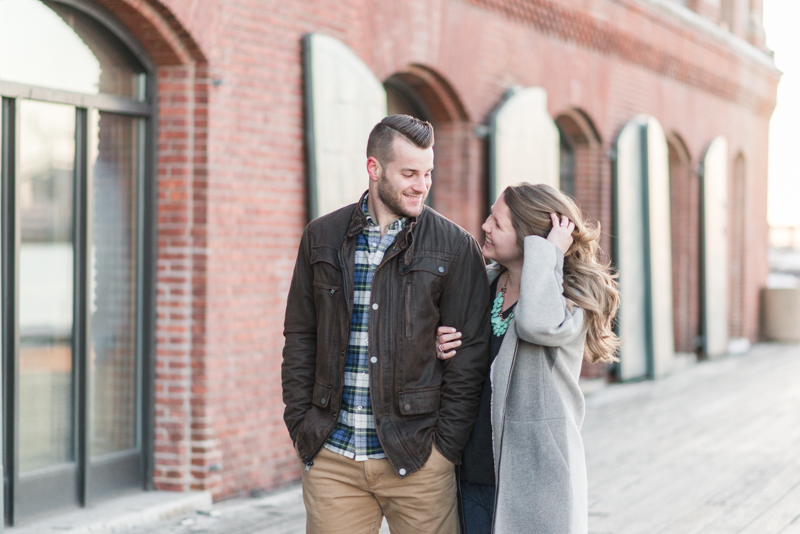 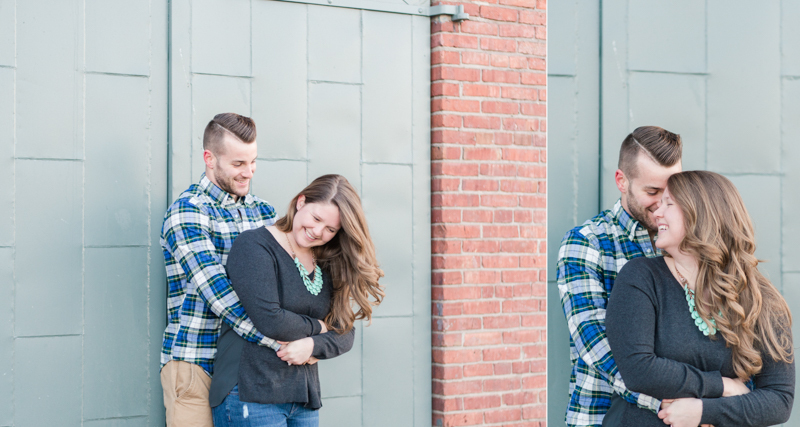 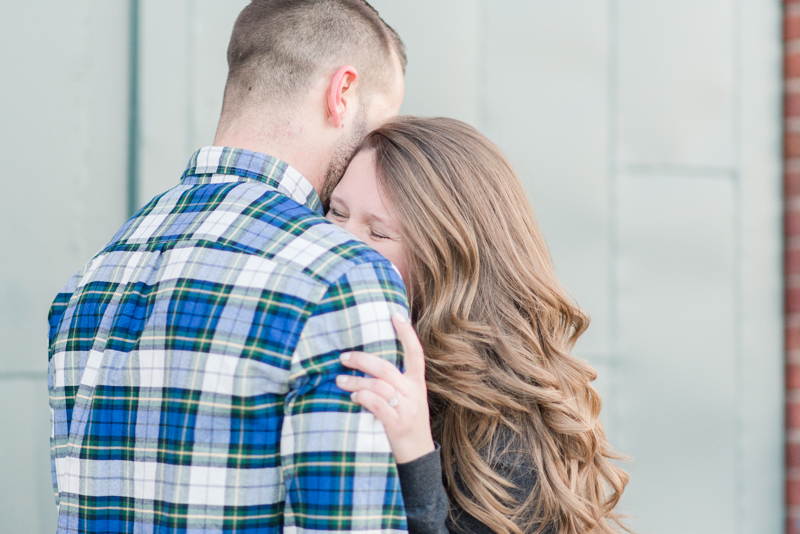 Relive their gorgeous Fells Point engagement with me! 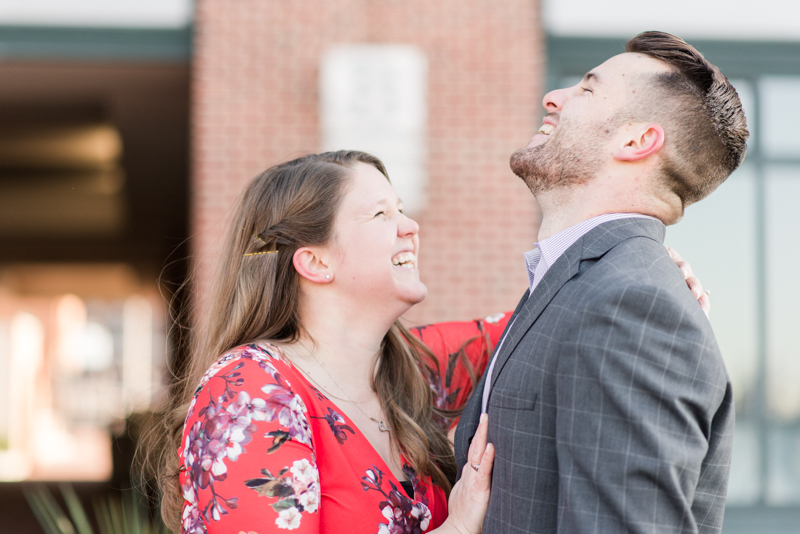 I told you! 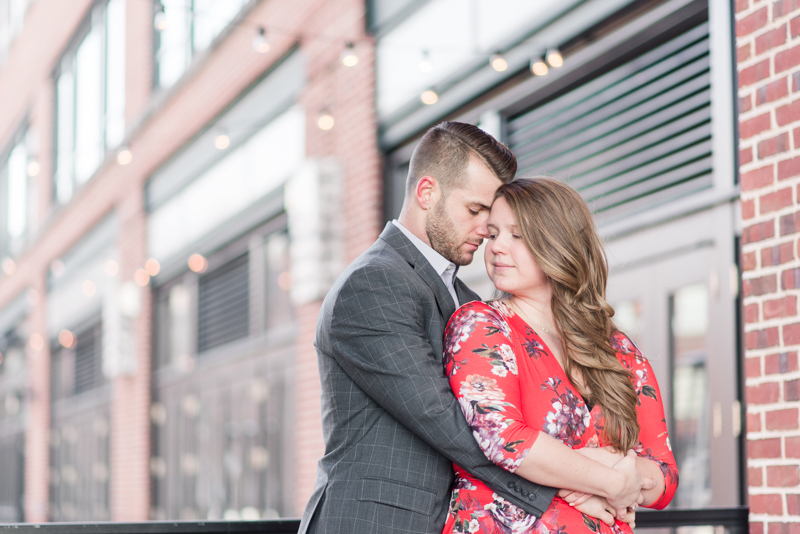 Movie stars!